Do you have a judging habit? One of the biggest things I’ve learned since completing my coach training and working with clients is being aware of judgement – whether of ourselves or others, and how it can often get in our way. We think of using our judgement as being a positive thing – we believe that there is good and bad judgement ; which is a judgement in itself. Judgement is a tool – a way of using your thinking – to calculate, weigh up and intellectually make a decision about something, often within a split second. If you’re a driver, and you come out of a side road onto a main road, you use your senses, knowledge and experience to judge how fast oncoming traffic is moving, and whether it’s safe to proceed or not. In this case judgement serves us well. However, in our daily work and life, from the time we are children, we habitually have this running commentary (that we may not be aware of) in our heads about things or people or ourselves being good or bad – a good day, a bad day, positive or negative emotions, happy or sad, right or wrong, early or late, success or failure. Maybe we learned it from our families, teachers or colleagues – it can be quite contagious! We might label situations or people as helpful or lazy, positive or negative, good looking or not… but these judgements are often opinions rather than facts, based on our own beliefs, cultural norms and expectations. The opposite to judgement is curiosity – keeping an open mind – and it didn’t kill the cat because it’s got nine lives, allegedly! When we find things frustrating or stressful, it is usually because we have made some judgement about the situation – it is “hard”, “annoying”, “unexpected”, “unfair”, “dishonest”… what impact do these words or phrases have on you in that moment? If someone drives out unexpectedly in front of you or cuts you off, you might honk and swear and complain loudly about the driver and his or her driving ability, and fume away for the next 10 minutes ; but what about the other driver? Usually he or she is blissfully unaware of the response they have provoked in you – but you’re the one having the stressful experience. Our human brains don’t like uncertainty – so from a psychological point of view we try to fill in the gaps, make assumptions and judgements, create shortcuts, and set up a programme in our brain to save us effort the next time. So if there’s another way to handle this and break the cycle above, what’s the piece we have control over? It’s simple but not always easy – we can choose to change our thinking and judgement. The judgement habit is one that we devote a lot of energy to – and sometimes it serves us well. But if your judgement habit is not helping you, then maybe it’s time to reprogramme it. We can learn to choose an alternative thought that works better for us in that moment, for next time around. It’s not about denial or ignoring – we may still need to take action later or work to make changes for the future. Maybe you could think “I didn’t expect him to do that, but it has happened and I can’t change it”. The key is acceptance of the reality of what is happening. What if the guy pulling out in front of you is rushing to hospital because of an emergency – you might never know ? But it’s easy to label and judge on appearances and beliefs, or things that don’t meet our expectations, because that might perhaps make us feel somewhat superior and better about ourselves. We never know the full picture or what it’s really like to walk in someone else’s shoes. A coaching client, Frances*, spoke with me about a colleague Joe*, who she believed was being manipulative. Frances felt manipulated – but when I asked what effect the word “manipulative” had on her, she said she felt like she couldn’t trust Joe, that he had made her look foolish and so on. I asked if the label of “manipulative” was helpful and she said no. We agreed that Joe was trying to achieve a particular outcome in the best way he knew how, which didn’t necessarily line up with her professional expectations. Joe was doing the best he could, though it wasn’t necessarily the “best” way to go about it. So by letting go of the “manipulative” judgement, it was easier to find a way to give feedback to Joe for his future reference. If you feel judged by someone else – how does that make you feel? If you’re inclined to judge others – do you think they’re aware of your judgement? What impact might that have on your working relationship with them? Notice on a daily basis how much of your time and mental space you give to judging, labelling, catastrophizing and predicting future events (e.g. “this will be a disaster”), jumping to conclusions – these thoughts and mental events are not necessarily true. Observe the effect these thoughts have on you and your mood. Instead of judging, try becoming more curious about the other person and what’s going on for them and what’s happening within you; like shifting into neutral. Most people are doing the best they can with the resources, skills and knowledge they have at that moment in time – and I’m sure the same is true of you. Remembering this can be helpful here when trying to cultivate a habit of “non-judgement” – usually we are most critical of ourselves and that’s a good place to start being curious and non-judgemental! *Names changed to protect the guilty ! 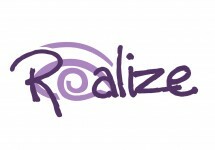 Liz coaches leaders and teams to help them to thrive – this is part of a series of posts to celebrate Realize’s tenth year in business, and sharing lessons learned in life and work that hopefully will inspire and inform you!